In the wake of Dame Judith Hackitt’s review into building regulations and fire safety, Inside Housing carried out a survey in association with Osterna to find out how social landlords are responding to Dame Judith’s recommendations. Nearly 900 people from across the housing sector responded, and an overwhelming 82% agreed with Dame Judith’s contention that fire safety regulation for complex and high-rise buildings is not fit for purpose. However, confidence was much lower in the government’s ability to make sufficient changes to fire safety regulation and enforcement as a result: only 8% were very confident in this, with a further 37% being confident ‘to some extent’. This left 28% of respondents with limited confidence and 19% with ‘very limited’ faith that the government will make sufficient changes. Scepticism was slightly higher in the private sector, with 30% of housing developers and contractors showing limited confidence in the government. Nearly 80% of respondents to the survey had taken a proactive approach to making changes in their own procedures without any further guidance. A total of 652 respondents (79%) said that their organisation had already started to review or alter its approach to fire safety prior to the publication of the review, with greater board engagement in fire safety issues and greater investment in fire safety improvement works being the two main changes in approach that were cited. 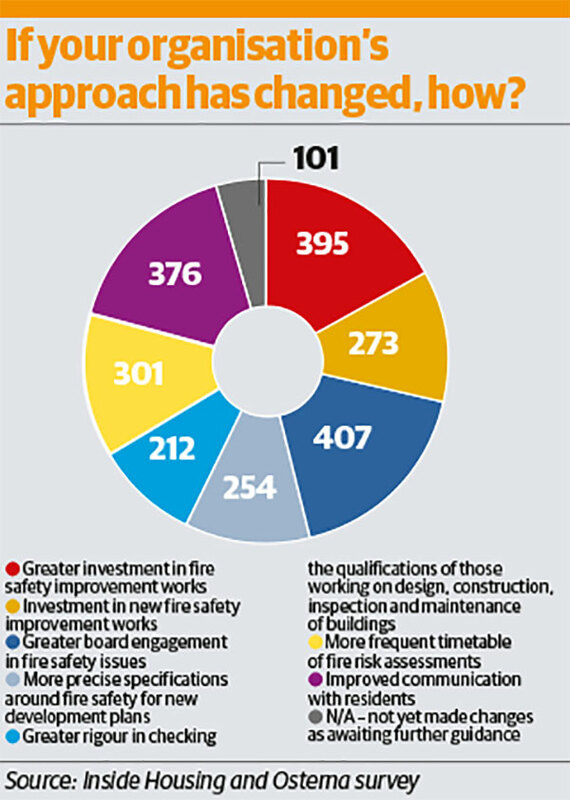 A total of 38% had increased the frequency of fire risk assessments, while 27% were being more rigorous in checking the qualifications of those working in the design, construction, inspection and maintenance of buildings. 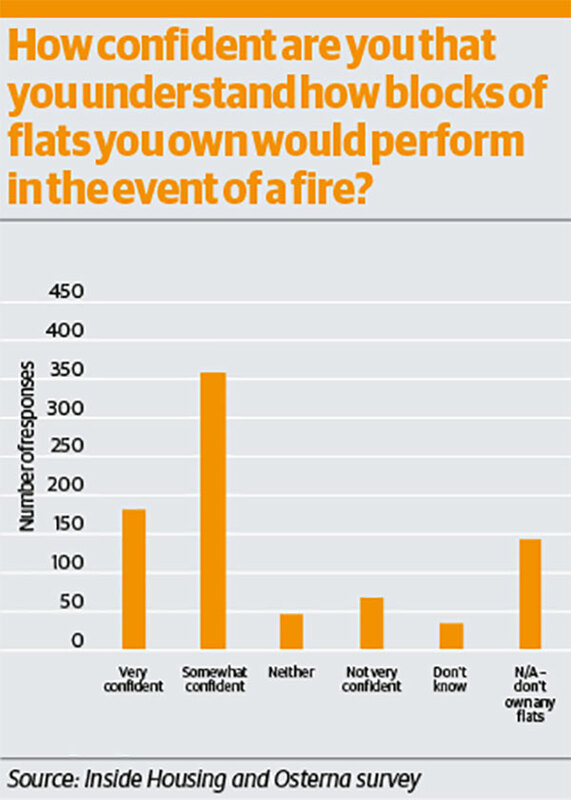 of flats would perform in the event of a fire, with 43% of those who responded only being ‘somewhat confident’, highlighting that a lack of understanding around fire safety issues still exists across the sector. One respondent voiced concern that “many high rises and below-18m buildings… fall short of the standards, and, as these standards are expected to increase post-Grenfell”, costs and budgets would make meeting them even harder. When it came to risk assessments, the majority (55%) of our respondents in the public sector were using both an in-house team and outside contractors although there was some degree of uncertainty, with 36% of our respondents being unsure whether these contractors were in fact meeting all health and safety requirements. Respondents were far more confident of their own organisation’s ability to implement a shift away from “doing the minimum required for compliance”, to one of “taking ownership and responsibility for delivering safe buildings”, as recommended by Dame Judith. A total of 59% felt that their own organisation would be able to do so to a large extent. By contrast, only 6% believed that landlords in general would be able to implement a similar change in approach. 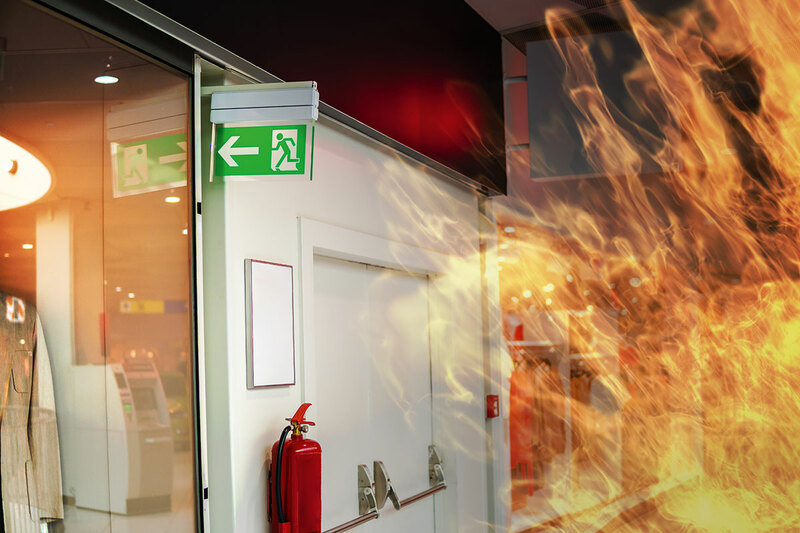 Constraints on budgets, a lack of funding and self assessment were all cited as concerns as far as the implementation of fire safety standards going forward is concerned. One respondent noted that “funding is key”, and that “annual reductions in funding will continue from central government, [which] has a major impact on staffing levels in these key disciplines”. Richard Price, compliance director at Osterna, says: “The degree of cynicism around the government’s ability to implement Dame Judith’s review is definitely surprising. “There has been so much momentum around fire safety, and public scrutiny of it, that there’s no place for the government to hide. Mr Price adds that it didn’t come as a surprise that organisations are already altering their approach to fire safety prior to the publication of the review: “In our experience, everyone is taking a zero-tolerance approach to fire safety.